With the release of the FileMaker 17 Platform, FileMaker Inc., has taken the opportunity to simplify the licensing model and the products on offer. Each licensing model provides all products. There are differences between the models in how many servers are included, the client connections available, and the data transfer limits via the API. For convenience, we will refer to these by the two letter acronyms above. Each model can be purchased on an annual or perpetual basis. Annual licensing is most common and convenient – just pay the renewal each year or uninstall. Perpetual licensing requires renewal each year – if you do not renew, you can use your current version in perpetuity but no upgrades are available. UL includes all clients for all users and three (3) server installs. CL includes all clients for all connections and one (1) server install. SL includes all clients for all seats and one server install per seat. Both UL and CL start from five (5) licenses. And you can add any number of licenses, one at a time. There are price breaks (less per license) when the total licenses reaches 10, 25, 50 or 100. SL starts from 25 seats. SL: a seat is any staff member of the licensing organisation, whether they use FileMaker Solutions or not. For all licensing, FileMaker Pro Advanced can only be provided to users within the licensing organisation. For CL and SL (but not UL), anonymous users (e.g. 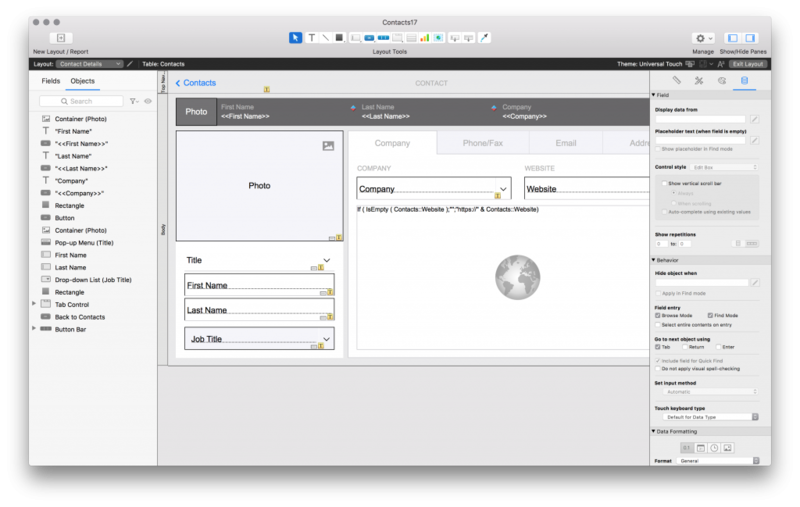 customers) can access hosted FileMaker Solutions using FileMaker Go and FileMaker WebDirect. For annual UL and CL, one server can be installed on FileMaker Cloud (AWS). 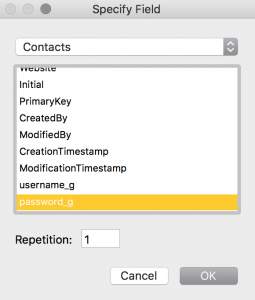 For annual SL, any number of servers can be used on FileMaker Cloud. For outbound API calls, all models provide 24GB of data transfer per year per user/concurrency/seat (inbound API calls are not limited). This data is conveniently pooled for the license. So for the minimum 5 user UL or CL, there is 120GB (24x5GB) available per year. Additional data can be purchased. 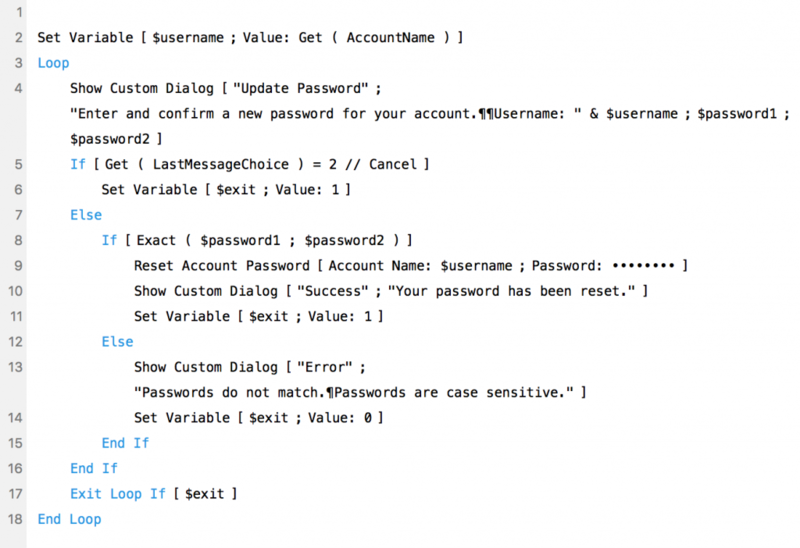 The advanced features include tools such as the Script Debugger and Data Viewer, and access to manage Custom Functions and Custom Menus. 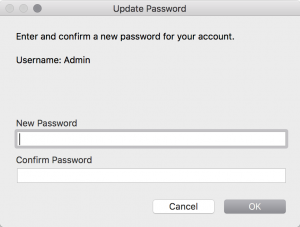 When FileMaker Pro Advanced is installed, no advanced features are available. 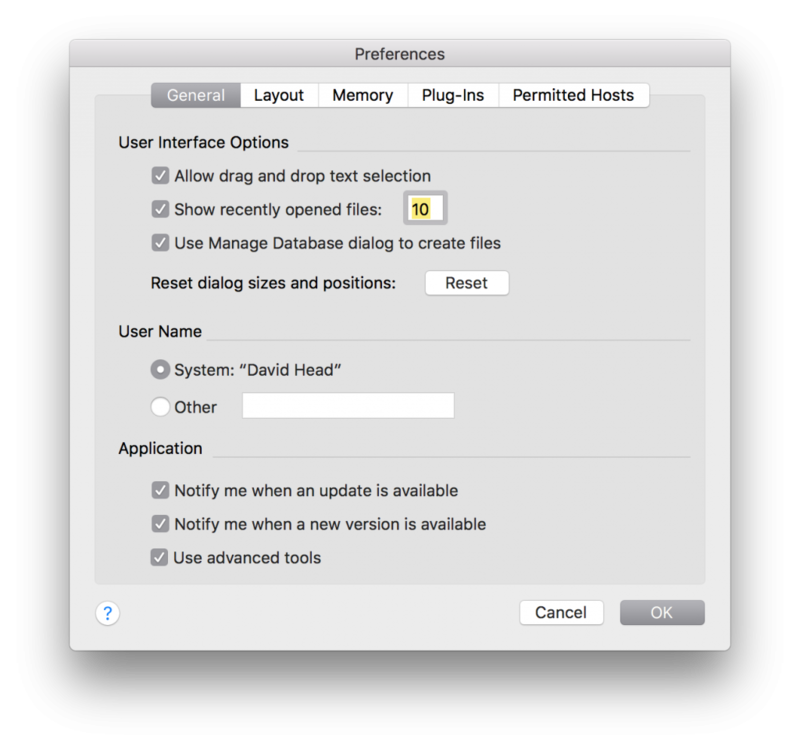 These features are simply turned on by checking the checkbox for Use advanced tools within the Preferences (General > Application) and then restarting the application. As shown above, FileMaker Pro Advanced is included in every licensing model. It can also be purchased as individual licenses through the FileMaker Store. Upgrades are available from versions 14 (limited time), 15 or 16 of FileMaker Pro or FileMaker Pro Advanced. 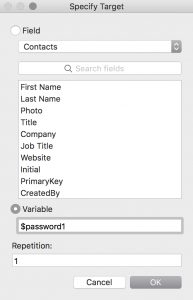 If FileMaker Pro Advanced is installed using an individual, UL or SL key, accessing a hosted FileMaker Solution will not use a concurrent connection. 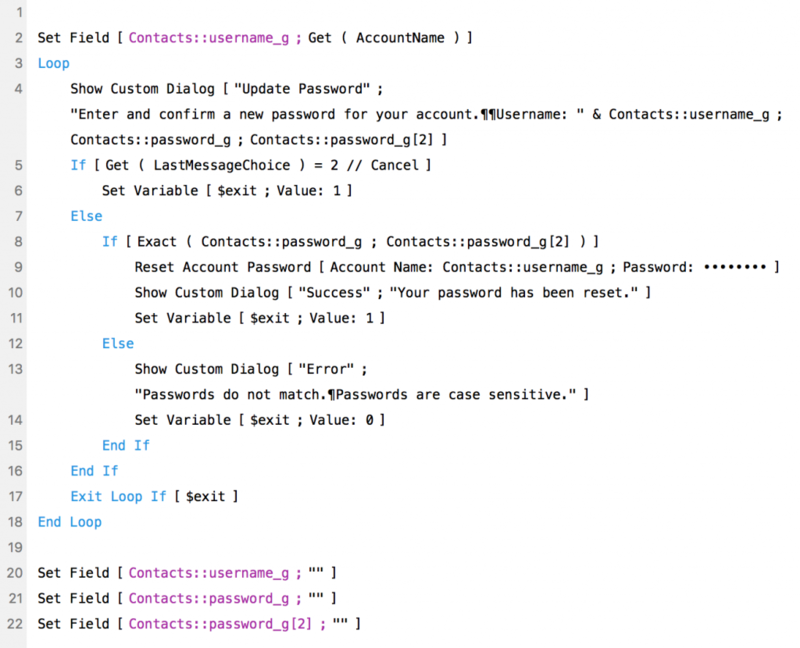 If it is installed using a CL key, it will require and use a concurrent connection on the server. Believe it or not, this licensing is simpler than it used to be. 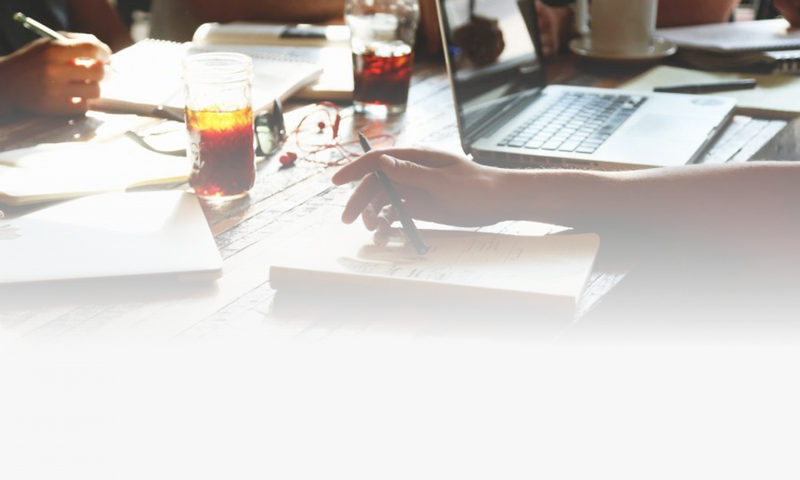 There are some other licensing options that are only available through FBA developers or directly through the FileMaker sales team. And there are some complications if you start mixing UL and CL. If you have any questions, uLearnIT is happy to discuss your situation or you can call your local FileMaker sales team. 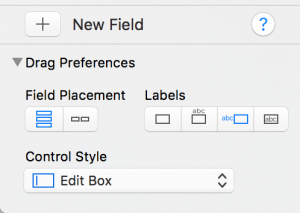 A major interface change for FileMaker Pro 17 is in Layout mode. You now have docked Inspector, Field Picker and Objects panels. 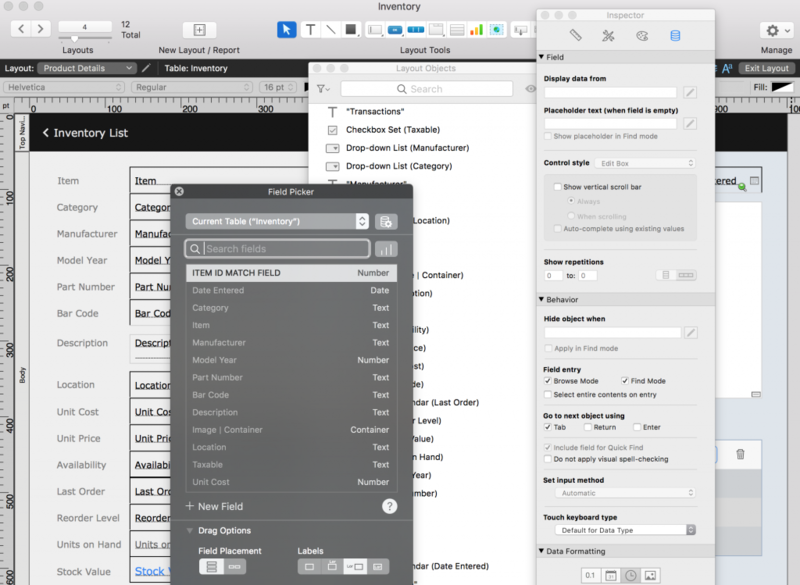 In previous versions of FileMaker Pro, these were HUDs (heads-up displays) that floated over the top of your layouts. They could be moved around to suit your development process. 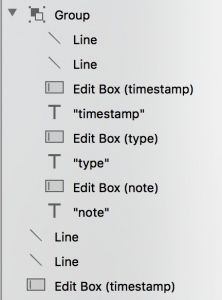 In FileMaker Pro 17, these are now docked panels. The Fields and Objects are on the left; the Inspector is on the right. If you still want the floating Inspector, it is available. You can close the docked Inspector panel (or leave it open as a second option). And then get a new Inspector from View > Inspectors > New Inspector. The new Field panel has an addition – the ability to set the Control Style for a dragged field. This is found at the bottom in the Drag Preferences. 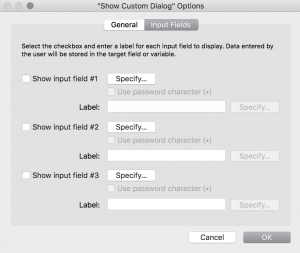 So you can specify say a Checkbox Set, and drag a field onto the layout. Then you would need to select the value list to be used from the Data tab of the Inspector. 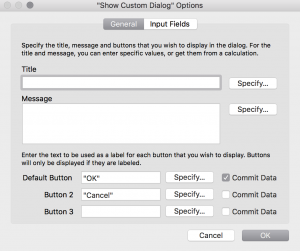 With the release of FileMaker Pro 17, a long-time feature request has been delivered – the ability to attach multiple files to an email. 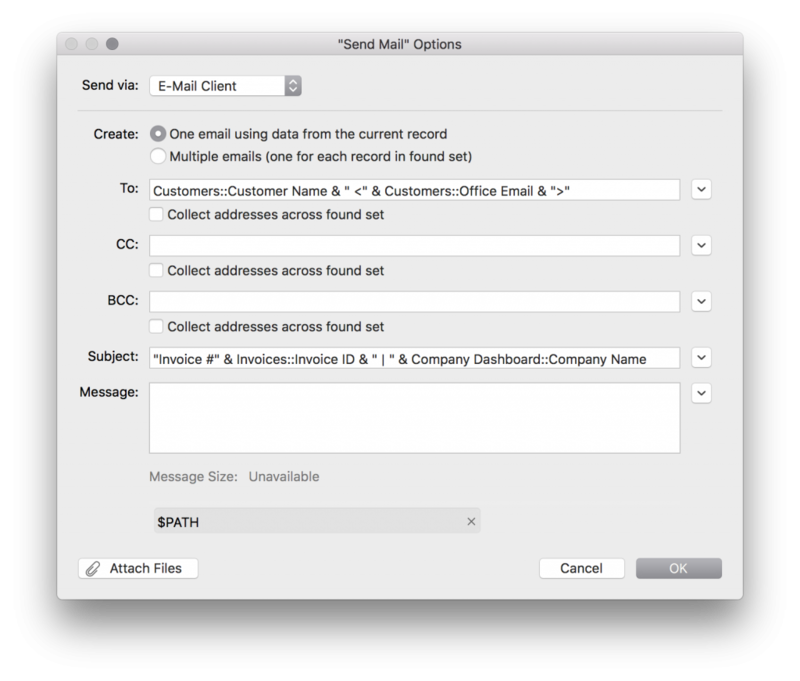 The Send Mail script step is used to compose and send an email from a FileMaker solution. 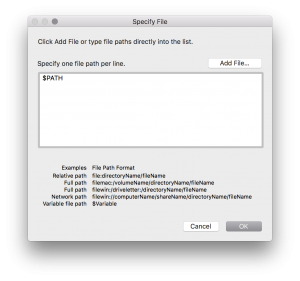 Developers will usually specify a variable to define the file path. In past versions, this would have been a single path ending in a file name. In FileMaker 17, the variable can be a list of file paths, one for each attachment. file = "Inv_" & Invoices::Invoice ID & ".pdf"
This value is used as the file name for Save Records as PDF. Each PDF will have a unique name and will be saved in the temporary path. As with all new features, it is important to account for users who may not be running version 17 clients. 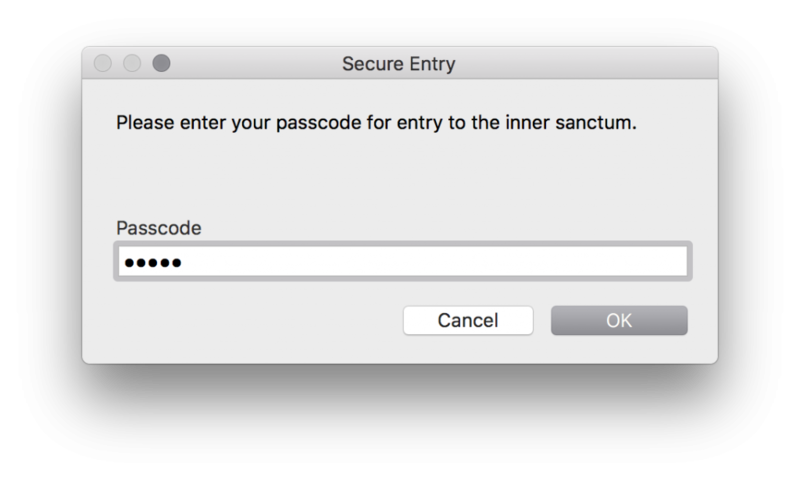 Either the file needs to lock those users out, or the script needs to detect the client version and have modified action.